So you have a plan; your're graduating from high school and want to continue your education! But you know you will need help with that growing tuition bill. 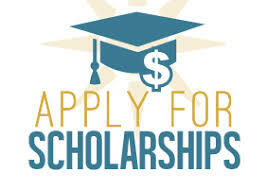 There are quite a few scholarships available to a Huron County High School Student, or to that middle aged person who want to continue their education. Let's start with high school students. Did you know that there are approximately 340 high school seniors in Huron County this year that will graduate? Of those students, only 60% will continue their education after high school. The Huron County Community Foundation has over 40 unique scholarships under their management. They have a scholarships for the golfer, bowler, football player, musician, and many more! Head on over to AwardSpring, their online platform, to answer questions that determine your eligibility. https://thumbscholarships.awardspring.com Their deadline for scholarships is April 2! Be sure to remind the high school seniors in your life to finish their applications and hit “submit”. How about that middle aged student going to college for the first time or attending after a lapse, there are scholarships at the Huron County Community Foundation for them as well. They have something for almost everyone. Whether you’re an adult learner continuing your education, a Huron County student in Med School, or a high school senior, there are scholarships available. So click on that link above and check them out. The Huron County MSU Extension has scholarships available as well, listed below. Pick up those scholarship applications from your guidance counselor or by calling the MSU Extension office at 989.269.9949. Anthony L. Rapes Memorial Scholarship - deadline is March 29, 2018. Scholarship is awarded to Huron County students with high moral character, initiative and high school achievements; who have made outstanding achievements in FFA and/or 4-H work, who have been accepted as students at an educational institution ; and who plan to major in agriculture or a related field. Huron County DHIA Scholarship - deadline is March 30, 2018. This is for a student that is pursuing a career in the dairy industry, scholarship is $500. Pick up apps at guidance counselor or MSU Extension office. Huron County 4-H Council Scholarship - applicants must be a 4-H member to qualify. The deadline is March 29, 2018. High School Guidance Counselors are a great place to look for scholarships. Multiple schools in our county have recent college graduates serving as college advisers. These folks are great resources as you look for scholarships to help with tuition expenses. You can also pick up the application for the Jean M.R. Smith Foundation Scholarship, this is a four year renewable scholarship program available to students living in Huron County. Get started on your future! And Good luck!